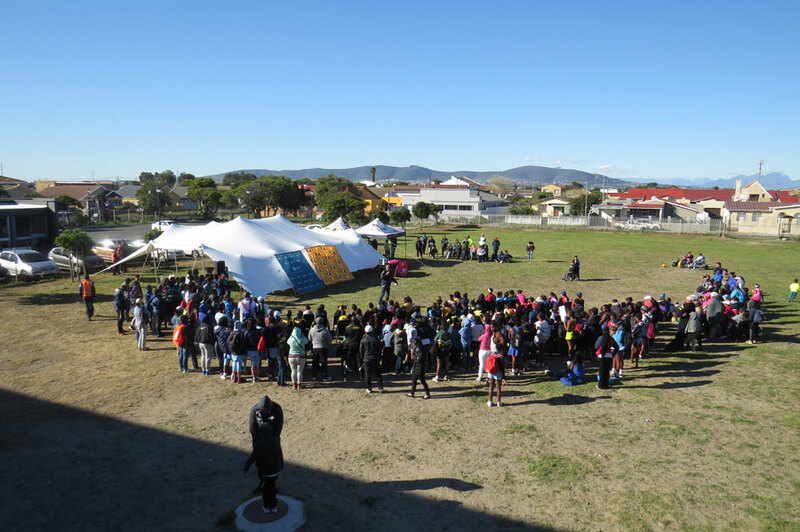 Play Sport4Life’s first annual, Women’s Day Sport Festival and Celebration, was a momentous success for women’s sports awareness and development in the Western Cape. What may have been the largest women’s youth sports gathering shows promise in leading the way for women’s sports growth. The energy was electric across Kensington High School’s field and court with a tremendous amount of athletic ability displayed for all’s enjoyment. PS4L’s team and Program Manager, Carolyn Inglis spearheaded the festival and event. There were 8 Primary Schools, 7 High Schools, 5 Academies and 8 Clubs present on the day for a total of 25 Netball teams and 24 Soccer teams. The festival was meant to be more of a celebration of women’s accomplishments and a means to combat gender inequality than an actual tournament, but that didn’t stop teams becoming highly competitive in the single knock out elimination day. The three age divisions of U12, U14, and U17 fielded teams for both five-a-side soccer and seven-a-side netball. People from the surrounding communities of Cape Town came out in droves to support their team, watch the games and eat some delicious food. Teams were in attendance from Hout Bay to Khayelitsha and everywhere in between. PS4L founder Miles October, commented, “well done Carolyn – that was certainly one of our best events to date”, which is testimony to the significance of this event. PS4L has worked wonders in youth sports development across the Western Cape. Sponsoring, supporting, and organising events is there mission and passion. Their focus on women’s empowerment through sport has opened new avenues for positive impact in our communities in an untouched way. The Department of Cultural Affairs and Sport and City of Cape Town both generously sponsored the event and provided food for all of the athletes and coaches on the day. The two major sponsors share PS4L and the mutual dream of ending all gender inequality, throughout our communities and using proactive events and programs such as the ones PS4L actively holds is key in accomplishing that task. 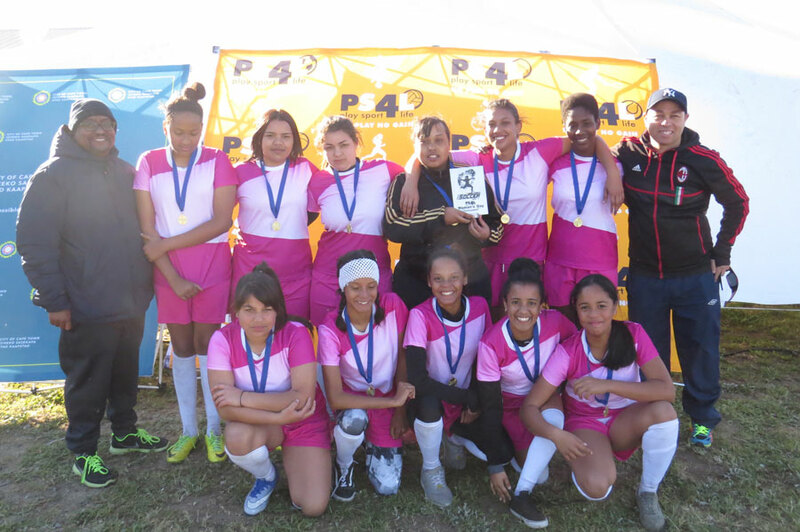 The stars on the soccer field; U12 Ikasi Soccer School, U14 Safa and U17 Brooklyn Sport & Development took the first place medals and first annual PS4L’s Women’s Day Sport Festival award. Yet, the stars of the day were on the netball court. 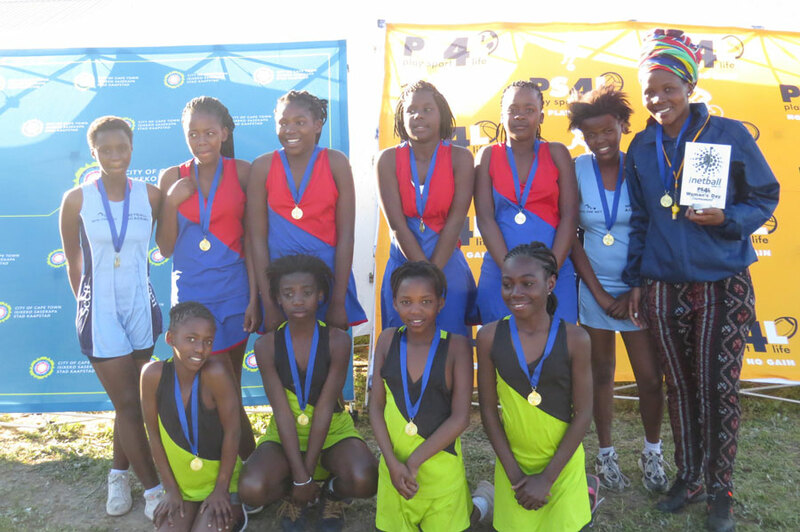 Nosiphiwo Mbolambi of Philippi coached all three of her netball club teams, Ithemba Lanbantu, to a championship victory. The games ran from 9:30 in the morning to 4:00 in the afternoon, followed by a tremendous group of guest speakers to further inspire the many young women athletes present. 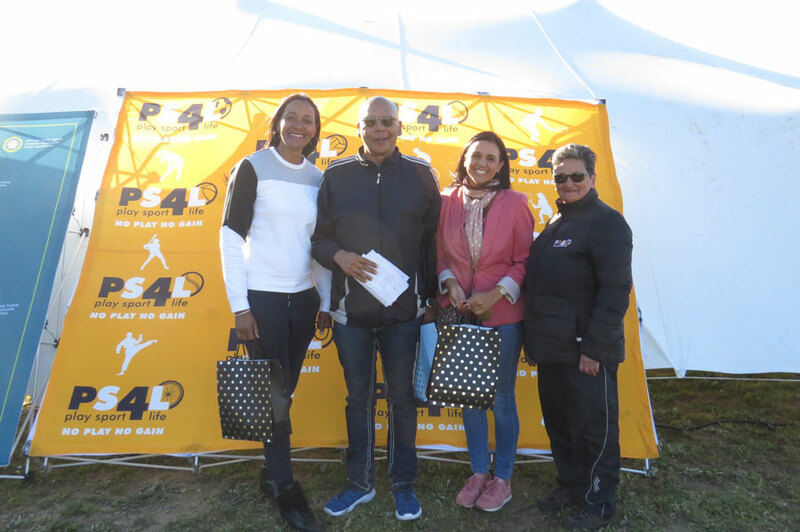 PS4L’s Board of Directors, Gail Reid, Ward Councillor, Helen Jacobs, Comrades runner, Soraya Salie, and South African Olympian athlete Geraldine Pillay all offered words of motivation and encouragement. PS4L is committed to improving the lives of the less fortunate through the power of sport and are equally committed to developing both men and women’s opportunities across the Western Cape and South Africa.